On the 13th of April 2018, you’re invited to Round 1 of the Black Marker Challenge – a golf competition for any handicapped player, male or female, who is ready for the ultimate test! The Black Marker Challenge Golf Competition will take place over 3 qualifying rounds with the best players being invited to play in the finals. Round 1 will take place on Friday the 13th of April 2018 at 11 am with a shotgun start. The competition format will be stroke play off the black markers, with the players with the best 36 nett scores from the 3 qualifying rounds being invited to play in the final round in December at Brookwater Golf & Country Club. Keep an eye on Brookwater’s Events and Brookwater News to keep up to date with the upcoming rounds. For each round of the Black Marker Challenge Golf Competition, players will be awarded prizes for 1st, 2nd, and 3rd place plus nearest to the pin and best gross score. Other prizes are on offer for any handicapped player who beats their score. The winner of the Final Round will receive the ultimate prize – a Golf Play & Stay package worth $2000! The only requirements to play in this great golf competition are that you must have a Golf Australia handicap, be an amateur player and of course follow Brookwater’s dress standards. 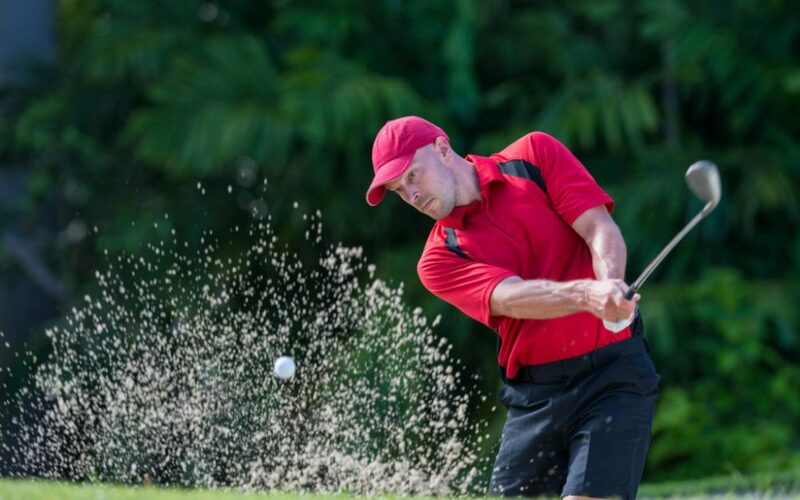 Read up on the basics of getting started in golf and Brookwater’s standards of play to get you warmed up for the big day! The Black Marker Challenge Golf Competition is a fantastic golf event for GA handicap amateur players that will be taking place throughout 2018 – so be sure to register for the first round and we’ll see you there! ← What are Brookwater Residents’ Education Options? Some of the Best Schools in SE Queensland!